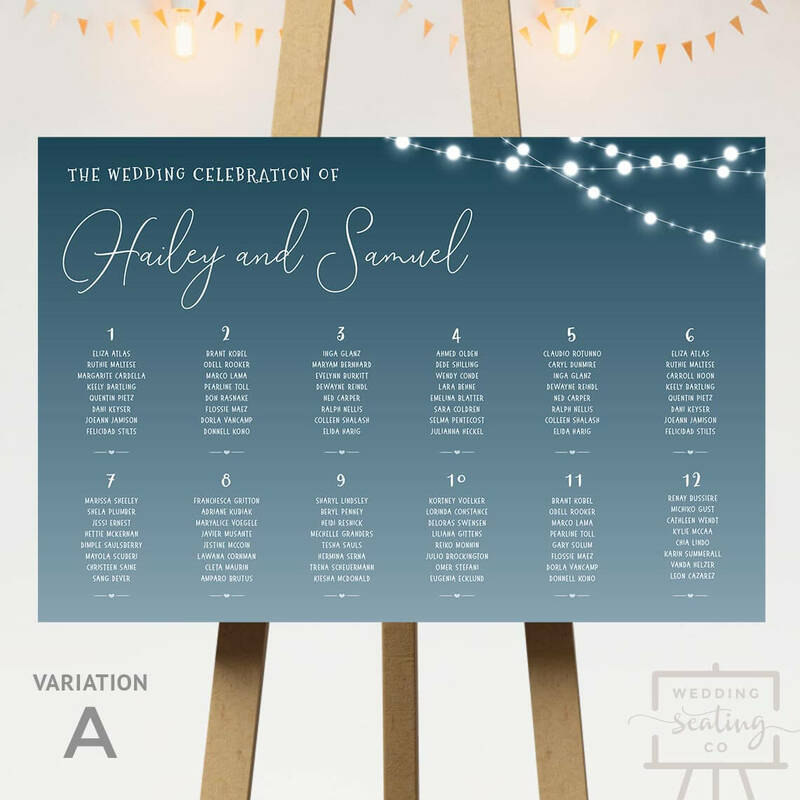 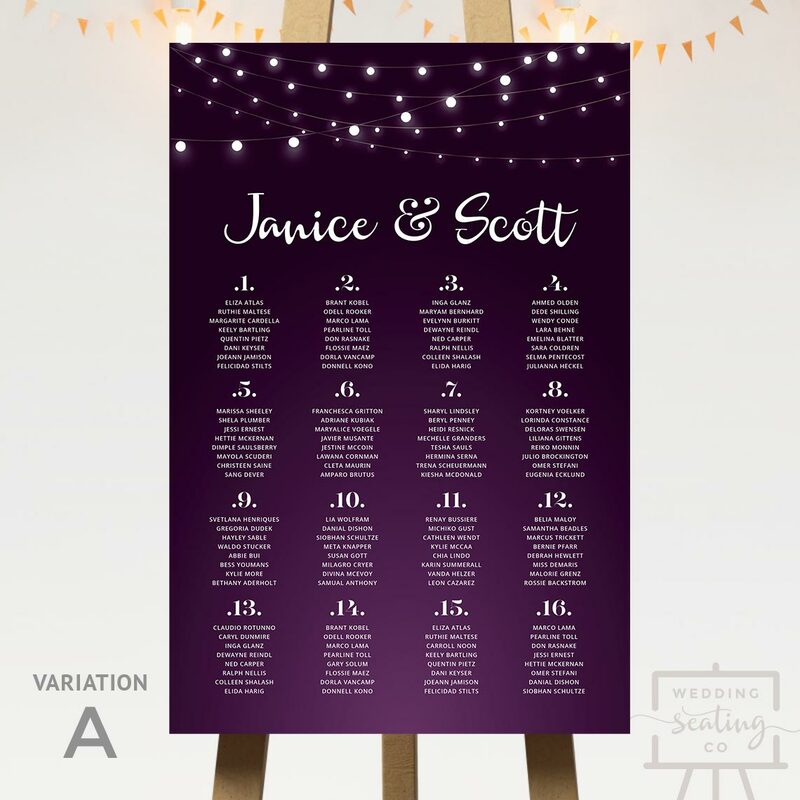 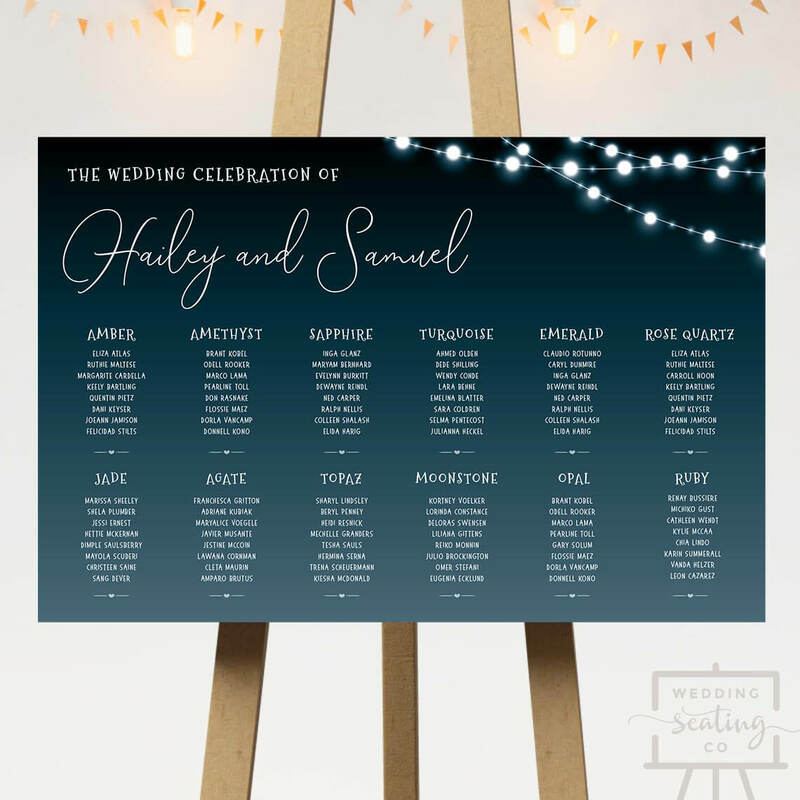 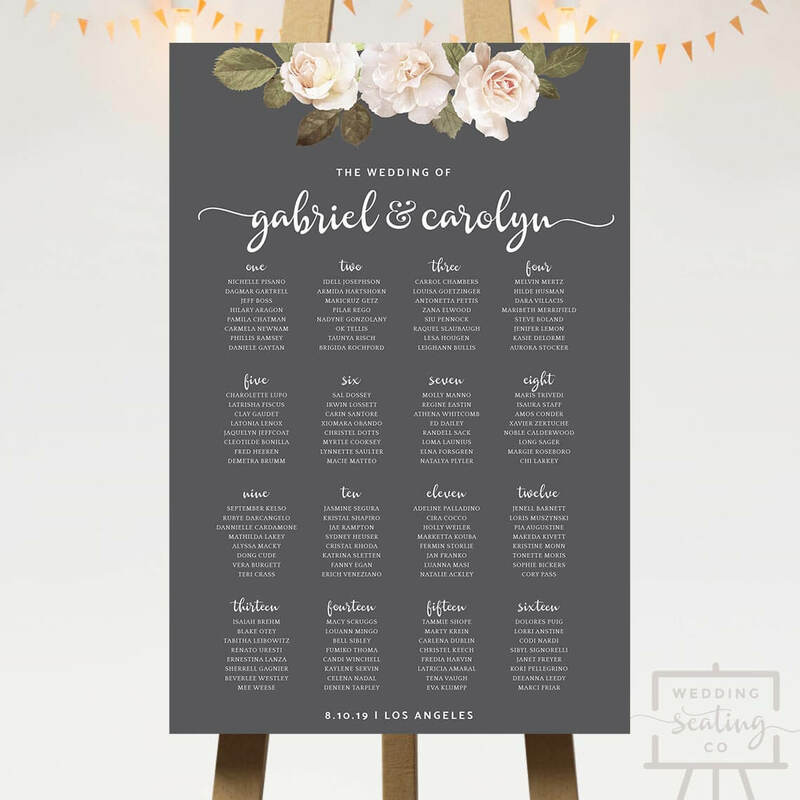 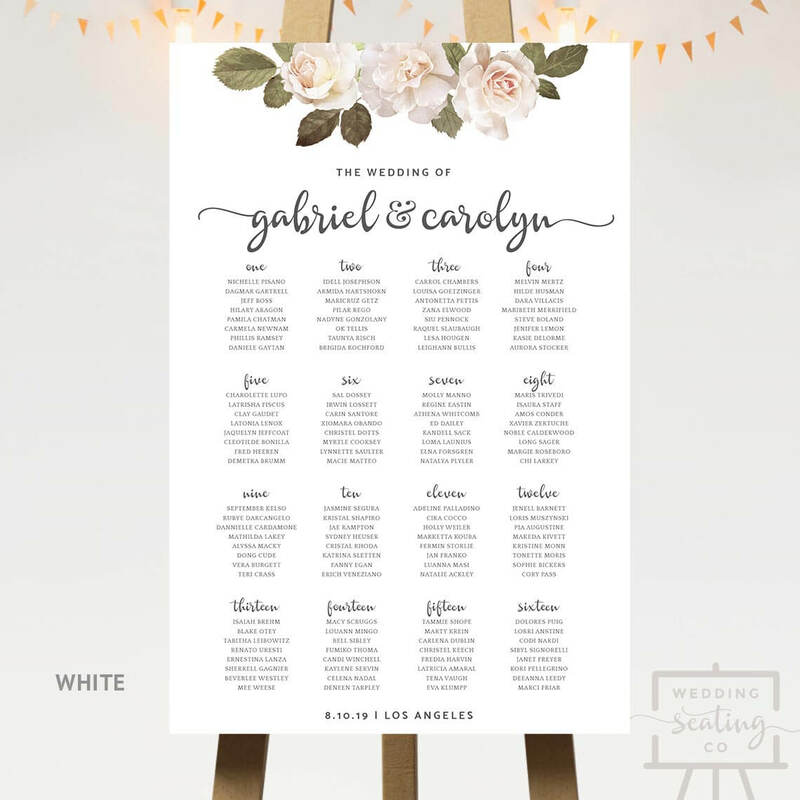 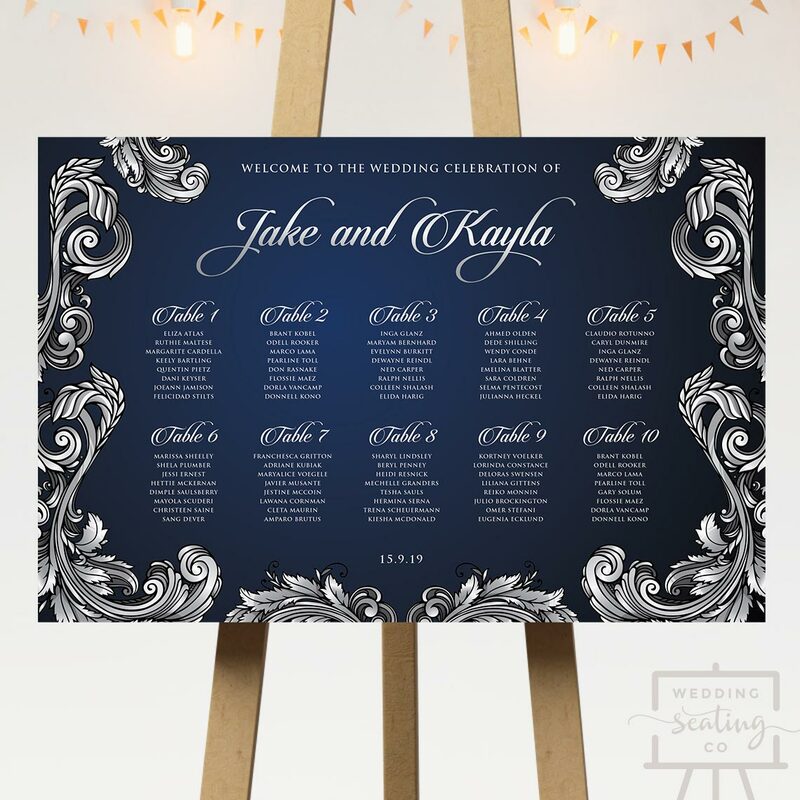 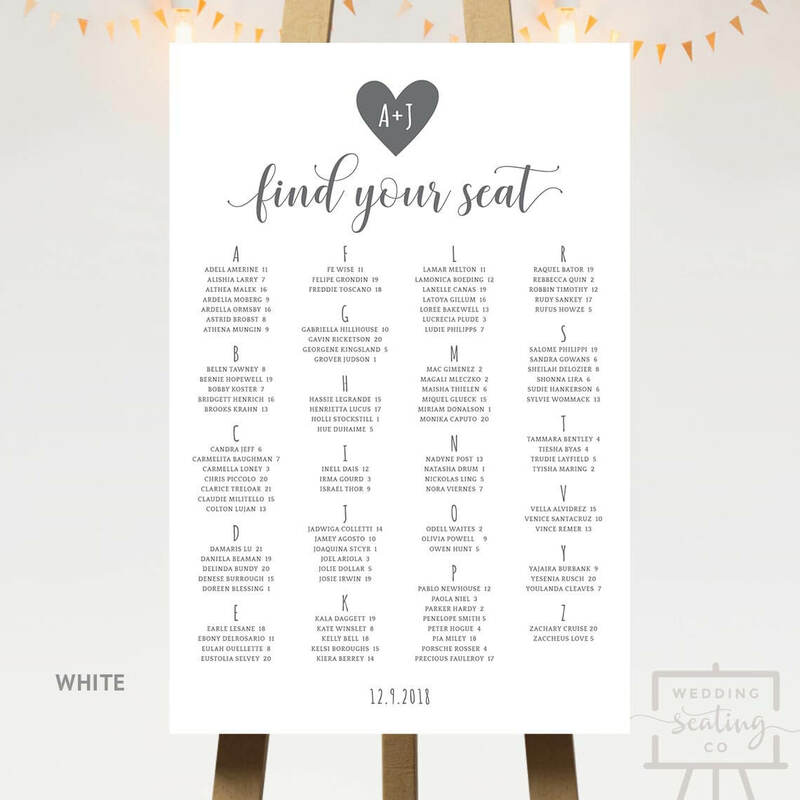 A printable wedding seating chart with a design of lights in the corner. The background is a navy blue gradient, or you can choose Variation A, which is a lighter blue shade. 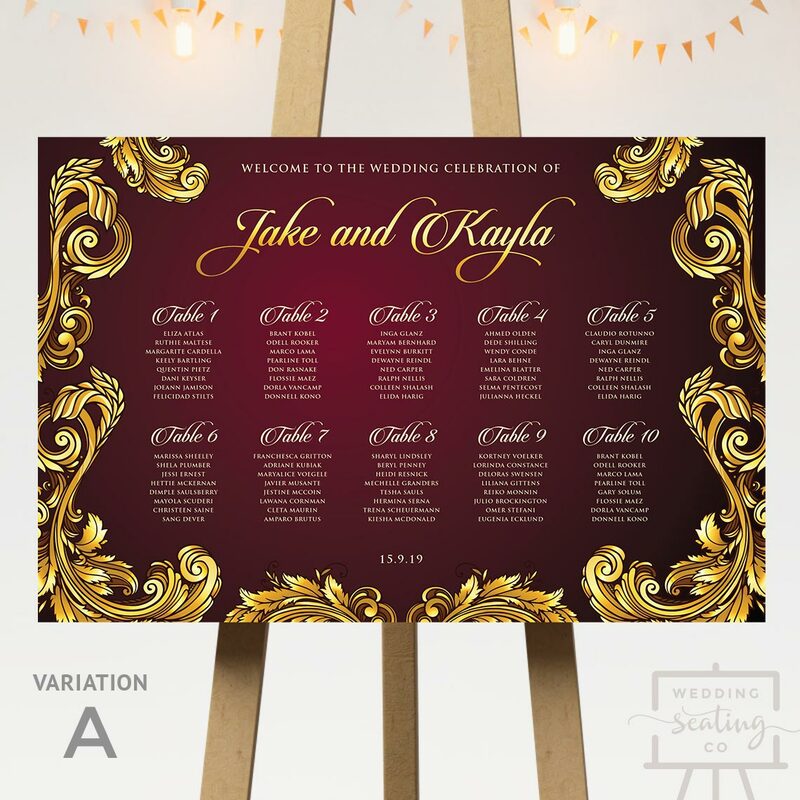 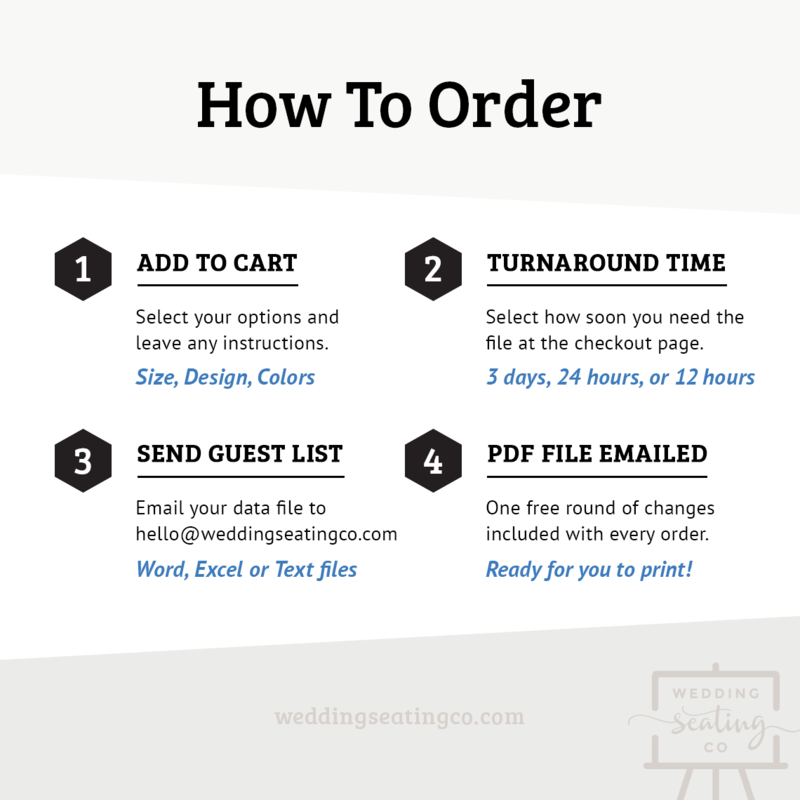 Names can be arranged by any table names, table numbers, or alphabetically. 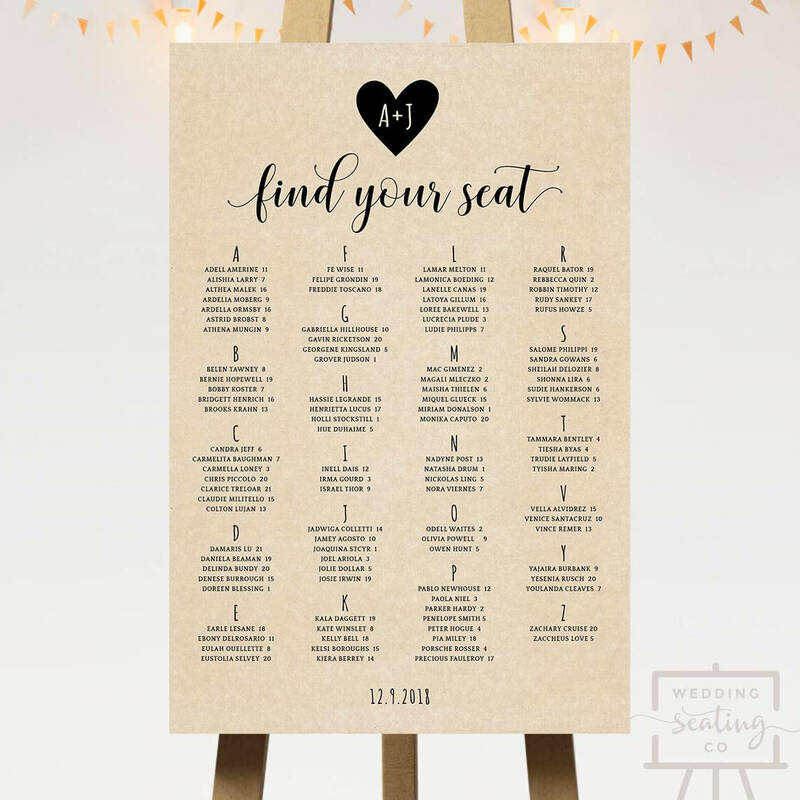 Scroll down for full details of Corner Lights Wedding Seating Chart.